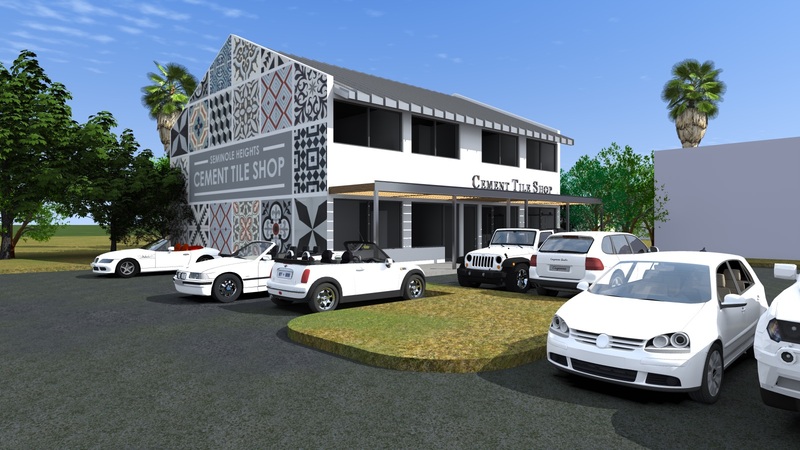 Cement Tile Shop is so excited to announce that we will be opening our flagship retail design showroom…and what better place to do that than in our own backyard? We are thrilled to be joining our favorite neighborhood, Seminole Heights, in Tampa, FL. The historic, hip, thriving neighborhood is a perfect match with the products we offer. The showroom will be a great place to check out many of our patterns and will be a great resource for architects, designers and retail clients. It will also provide a hands-on, interactive environment to experiment with colors and custom patterns. Although we hope to have our design center open in June, the building will also house our new offices, with a completion date in the next few weeks. Construction is well underway, so stay tuned for more info and pics. We hope you are as excited as we are!